How do I return books? Posted on January 25, 2019 by EleniP. Did you know the quickest and easiest way to return library books is at the Returns Room through the self-return machines? You will find the Returns Room on the Ground Floor of the Sir Duncan Rice Library. It’s as simple as placing the books through the slot one by one. As soon as they have passed through they are removed from your borrowing record. You will also find an external slot on the right-hand side of the entrance to the Library. This means that you can return your library books anytime – 24/7! Don’t forget to take your receipt as proof of your returned items. Forgotten your student card? Don’t worry! You don’t need your student card to return books. Heavy Demand books can be returned in the Heavy Demand Area on Floor 1 (using the self-issue/returns machine) or at the Returns Room. So, you’ve found a book on Primo that you need to borrow and it’s in Heavy Demand. Here are some helpful hints about borrowing Heavy Demand books to get you started! The Heavy Demand Collection is located on the first floor next to the Information Centre desk. Heavy Demand books can be borrowed at any time and are always due back the following day at 10.30am (or on Monday if borrowed on Friday/Saturday), other than those in the 3-Hour Reference section. You can borrow up to 2 items at a time and are welcome to place bookings on copies up to 21 days in advance through Primo. Just remember to collect your reservation by 3.30pm, or your booking will lapse. Don’t forget! With high demand comes high fine rates – make sure to return your Heavy Demand books on time to avoid the 75p hourly fine per item. 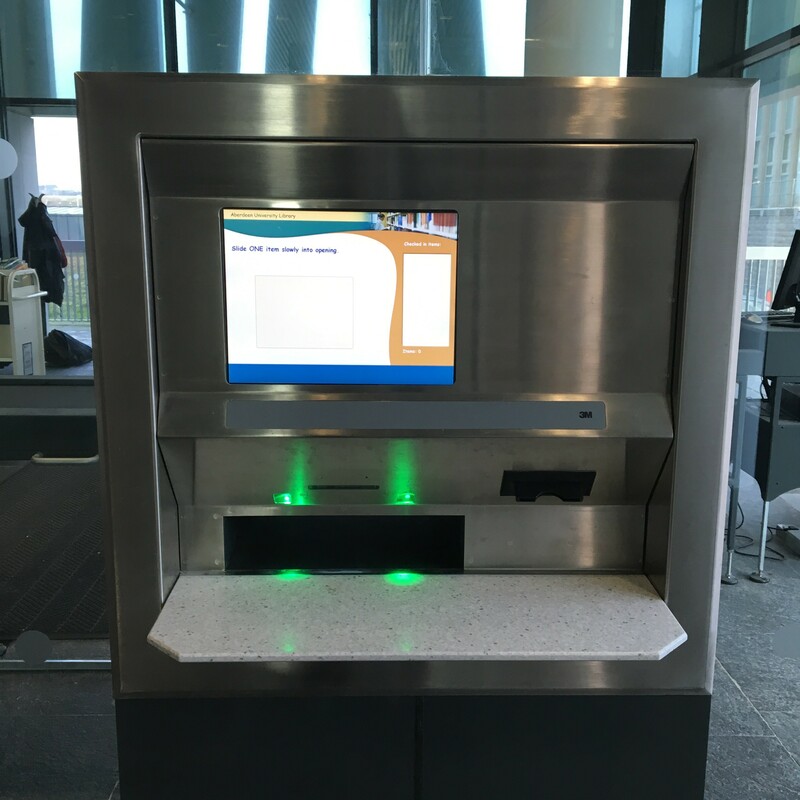 In the Heavy Demand area you can use the self-service kiosks to pay fines, borrow and return books all in one place! Always check your receipt when borrowing before 10.30am, as pre-booked items may be due back the same day. Our DVD collection is also located here – these are mainly 3-day loans although a small number are Heavy Demand. Any questions? Library staff are always happy to help! Borrowing Library books – how many and for how long? Are you unsure about how many books you can borrow from our Libraries at any one time? Are you a little confused about how long you can keep them to study, use for research, or read for pleasure? Please read on to learn more about borrowing from the hundreds of thousands of high-quality books available on our miles and miles of Library shelves. The table below shows you how many books you are able to borrow from our Libraries at any one time, depending on the type of Library Account you have. How long can I borrow the books for? The hundreds of thousands of books available in all of our Libraries can be borrowed for different lengths of time, depending on how much they are expected to be used for teaching or research. See below for an explanation of the different loan types available and how you can easily identify them on the shelves. How can I tell if a book is Heavy Demand? There will be Blue tape on the book’s spine, as well as the shelfmark. These books are core reading materials across all courses and therefore have the shortest loan periods in our collection. 1 day, due back 10.30am the next day – or Monday if borrowed on a Friday or over the weekend. If borrowing before 10.30am please check the due date and time carefully – if the item is booked it will be due back at 10.30am that day. Check the screen and your receipt for the due date and time. A few items are on 3 hour reference. 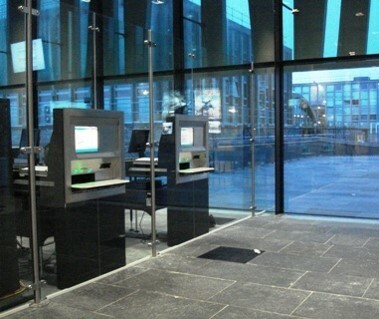 You may borrow the item using the self-service kiosks in Heavy Demand but must return it within 3 hours. Can I renew the loan? No phone renewals are allowed. Renewals must be done in person, with the item present. This is because items must be returned by a specific time during the day and very often the item has already been reserved for another reader. Please note: there is a steep scale of fines for late returns of Heavy Demand books! How can I tell if a book is Three Day Loan? There will be yellow tape on the book’s spine, as well as the shelfmark. These books have been recommended for reading on different courses. Return within 3 days, weekends included e.g. borrowed Wednesday, due back on Saturday. Holds may be placed to reserve these. Items may be renewed as long as no-one else has placed a hold on the item. Items will be renewed automatically for you if not requested by another reader. You can renew 4 Week Loan items yourself via MyAccount in Primo, or in person at one of our libraries up to 9 times. £1.00 per day for recalled items. See also Annual Return of books in May. Contact library staff for details. How can I tell if a book is Four Week Loan? There will be white tape on the book’s spine, as well as the shelfmark. Four weeks from date of borrowing, but they can always be recalled at any time by another user of the library, including over holidays. If the book is recalled an email will be sent to your University account telling you when to return it. Items may be renewed unless recalled or on hold by another reader. Items will be renewed automatically for you if not requested by another reader (Aberdeen University students and staff). 20p per day, for items that have not been requested by another reader. Overdue recalled or on hold 4 Week Loan items are fined at the normal £1 per day rate. How can I tell if a book is Long Loan? There will be no coloured tape on the book’s spine, only the shelfmark. Until the end of the Summer term, but they can always be recalled at any time by another user of the library, including over holidays. If the book is recalled an email will be sent to your University account telling you when to return it. Recalled items cannot be renewed. Before the annual return of books in May items can be renewed via MyAccount in Primo or in person at one of our libraries. £1.00 per day for recalled items. See also Annual Return of books in May. Contact library staff for details. How can I tell if a book is 24-hour Restricted Loan ? There will be a 24 Hour Loan label on the first page of the book. There will be no coloured tape on the book’s spine, only the shelfmark. Very few books have 24 hour loan periods. Return within 24 hours from the time of issue, weekends included, e.g. issued 4.45pm Tuesday, due back by 4.45pm Wednesday. Restricted loans may be renewed as long as no-one else has placed a hold on the item. You can renew 24-Hour Loan items on loan to yourself via MyAccount in Primo or in person at one of our libraries. 50p for the first hour overdue. 5p per hour thereafter for every hour the Library is open.